From Manchester, New Hampshire, alumni and Environmental Science major Ashley Breen was attracted to Castleton based on the campus’ unique size and strong sense of community. Both important traits while selecting her college of choice, Breen knew right away Castleton would be a great fit. While at Castleton, Breen immersed herself in the college culture by getting involved in various on-campus programs. She became a member of the Science Association, as well as the Green Campus Initiative Program and also worked as a Student Ambassador on campus, while still finding time to perform additional volunteer work in the community. Her dedication proved just as robust when in the classroom. With frequent opportunities for out of the classroom fieldwork, Breen was able to complete a two-year independent research project, participate in a full-time paid summer internship through the Natural Sciences Department, and had several opportunities to present her work at regional conferences. Through the continued guidance and support of her advisor, Professor Andrew Vermilyea, she was able to spend a majority of her college career working in the field. “Starting with day one of classes my first year at Castleton I was doing fieldwork,” said Breen, adding that her classes often took field trips to collect organisms and tree species from local areas to study in the lab. 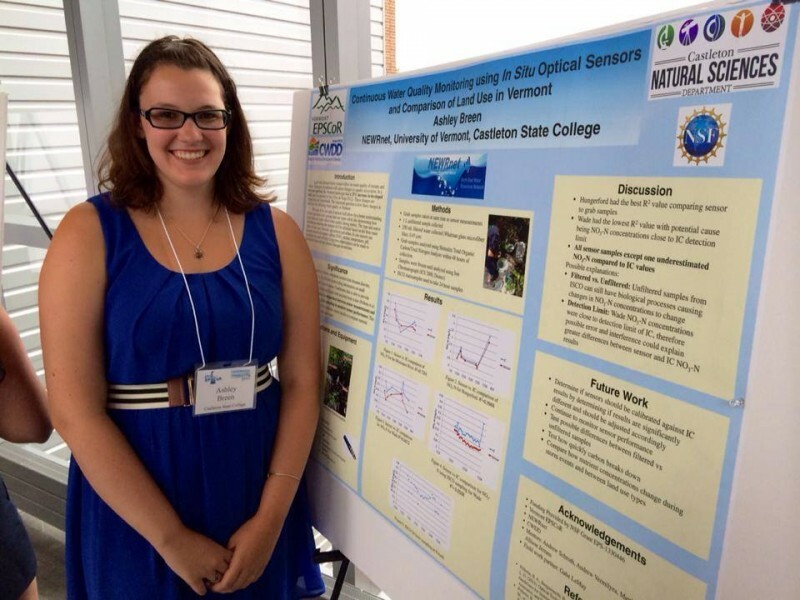 The rural setting of the green mountain state combined with the connections through the Castleton Natural Sciences Department, Breen ultimately credits Castleton with preparing her to pursue a career in the science field.